The outdoor environment is an integral part of many early years settings and schools, but is it being used to its full potential? 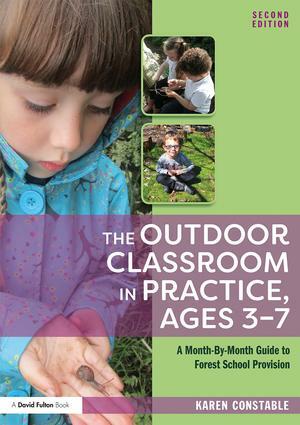 The Outdoor Classroom in Practice, Ages 3-7 offers guidance on how the outdoors can be used to teach and challenge children across a range of settings by drawing on forest school practice. Following a month-by-month format, it explores theme-related play experiences, planning, evaluations of how the ideas described were carried out and what impact they had on children's learning and development. Written by a leading authority on forest school practice, this book aims to inspire and help practitioners make the most of the outdoor environment all year round.